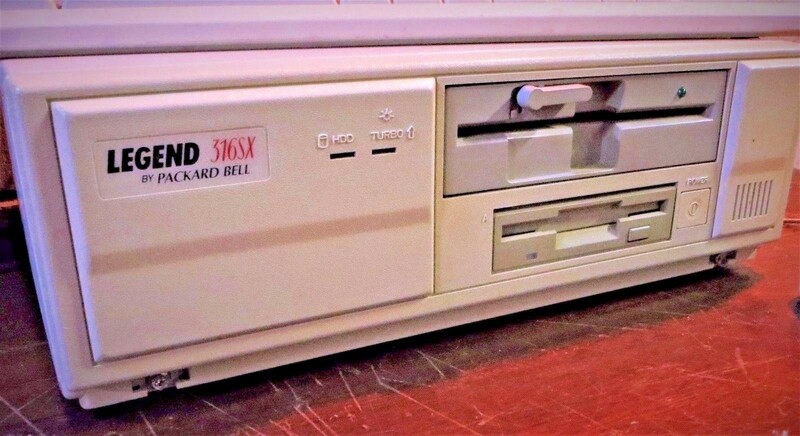 Though my first computer was a Commodore 64, my first PC was a Packard Bell Legend 316sx. It had a 386sx-16MHz processor, 1MB of RAM, and I can't remember if it came with the 120MB hard drive or if I upgraded to that, but I believe it came with the 120MB HDD (A Seagate ST3144A, if memory serves). Installed OS was DOS and Windows 3.0. I got it for a combo Christmas/birthday gift and I am almost certain it cost around $1600. I also got a Packard bell monitor with it. The very first thing I did with it was to go to the store (heck, it was probably Walmart since Walmart actually sold computer parts in those days) to buy memory so that I could upgrade it to 4MB. I distinctly remember this because each megabyte was $40! That is crazy to think nowadays where, in 2019 anyway, we can grab 16gb of RAM for that price! The system came with a 5.25" floppy and a 3.5" floppy. There was NO sound, no CD-ROM, and only had a built-in Oak VGA video card. It worked well for what I needed when I first got it (typing papers for college, mostly, and some rudimentary gaming). But, it wasn't long before the upgrade itch really got me going. I started with a Multimedia Upgrade kit from Creative Labs. Unfortunately, the only images i can find online are of a later version than the one i got. I am pretty sure mine had a short audio card, CD-ROM drive, software and related cabling. I believe the upgrade included Windows 3.1 or 3.11 as well, so that the user could take "full advantage" of the new multimedia offerings. I think the CDs had to be put into a special cartridge tray that would then be inserted into the drive itself. While that sufficed for a while, allowing me to play and experience games in a way I hadn't before, I soon wanted more power under the hood. Rather than shelling out another $1500 for a newer machine, I looked into upgrading the CPU itself. Since this was a 386SX, I had several options: 1) Upgrade from a 16MHz to 25 or 33, 2) Add a math coprocessor (the motherboard had a socket for that), 3) Upgrade the CPU with an adapter kit. Yes, that's right! Back in the early 90's, there were adapters you could buy that would sit directly in top of your 386 CPU. The adapter would then house a 486 CPU piggybacked onto the 386 chip. Now, since my 386 was an SX variety, I had to stick with SX versions of the 486 (no DX for me). I bought the Make-it 486 SX upgrade kit for about $100. This was quite a bizarre arrangement. In addition to the CPU upgrade sitting on top of an adapter socket, I also had to install a 486 CPU fan on top of that. Now, look back at the case for this computer. It's a small form factor, especially for those days, and this stacked-up CPU made for one VERY tall apparatus inside. Nevertheless, it worked flawlessly! Er, well, as flawlessly as Packard Bells could perform, anyway. I also upgraded the modem several times over the years, and added a network card for local gameplay via IPX (Doom, etc). Heck, I think I even upgraded to windows 95 before it was all said and done. 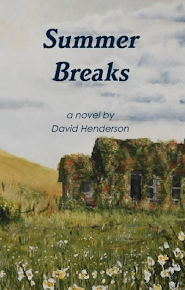 Packard Bell became synonymous with low quality, cheap components that would fail completely, or worse, provide intermittent issues that would leave users frustrated, dazed, and confused. 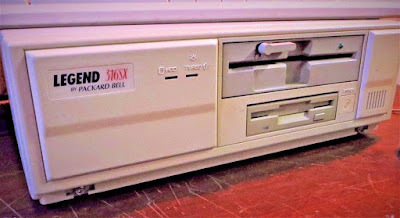 In the meantime, though, I used my Packard Bell Legend 316SX from 1991ish when I got it until about 1994/5 when I was afforded the opportunity to upgrade to a newer machine through my employer. The 316SX holds a fond place in my heart because it was the first IBM-Compatible PC that I ever owned. I can remember putting it in a backpack once to carry it on to the airplane for a trip. The airport security made me plug it in and turn it on. Of course, I didn't have a monitor, so the fans whirred, the lights came on, and the system speaker chirped to let me know there was no keyboard attached, but it passed security (much more lax in those days, pre-9/11) and I carried onto the plane with me (I wasn't about to let it suffer the agony of checked baggage).